A fresh note. Most currently-available high-end tablets feature Nvidia-based hardware solutions. While these are certainly good choices, Samsung chose to make use of its own in-house technology for the brand new Galaxy Note 10.1. In doing so, Samsung has hit a home run in terms of performance. As well, the Korean manufacturer has reintroduced the use of the formerly ubiquitous stylus. The predecessor of the current Samsung Galaxy Note 10.1 – the Galaxy Note N7000 – was a bit of an enigma. Was it a smartphone or a tablet? As we were unable to come to a clear verdict in our review of the previous device, we used both “Smartphone” and “Tablet/MID” in our article. With a display size of 5.3 inches, the N7000 was the metaphorical “Mama Bear” between smartphones and tablets. To date, Samsung is the only manufacturer willing to produce a device in this unusual format. Nonetheless, the success of the Galaxy Note N7000 was not hampered by this non-standard format. In fact, quite the opposite was true and Samsung has already announced a successor using a 5.5-inch display and Android 4.1 Jelly Bean. In this review, we consider the Galaxy Note 10.1 whose name already eludes to the tablet-sized display dimensions of this new Samsung device. 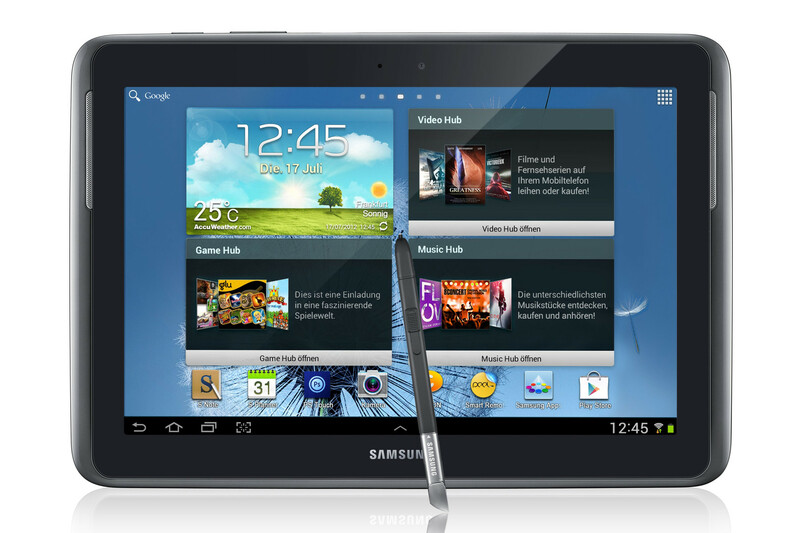 Samsung touts the Galaxy Note 10.1 as the top-of-the-line model from its family of tablets which we have covered in several reviews. The most recent of these reviews was on the rather mid-level Galaxy Tab 2 10.1 which featured a dual-core Texas Instruments processor. In the case of the new, top-of-the-line model, Samsung returns to tradition and uses one of its own CPUs. The Exynos 4412 is a quad-core processor using four ARM Cortex A9 cores operating at 1.4 GHz. This processor makes use of the ARM v7 instruction set. Also integrated into the Exynos SoC is the ARM Mali-400 MP4 GPU which is itself a quad-core processor. The Samsung Galaxy Note is available in pearl white and pearl gray. Currently, all models feature 16 GB of internal memory with the only options being Wi-Fi only or Wi-Fi and 3G. The MSRPs for these models are 599 and 689 Euro (~$749 and $869) respectively. Our sample model is the Wi-Fi model in pearl gray. Visually the Samsung Galaxy Note looks restrained. 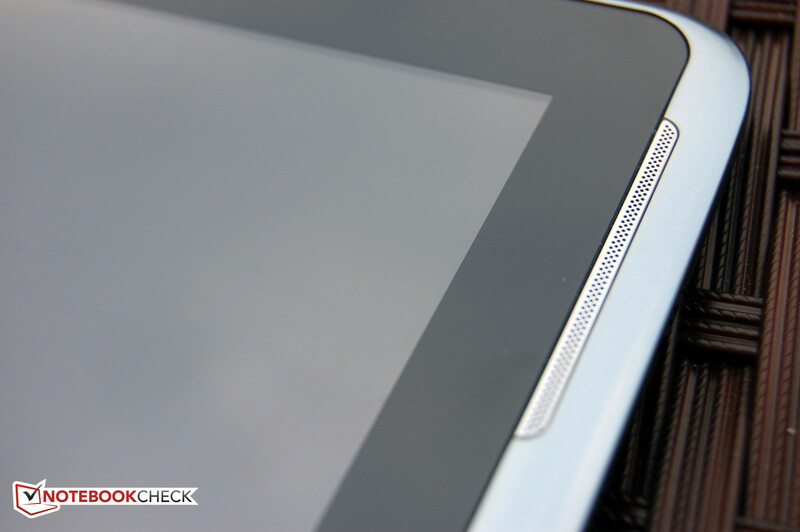 Due to its pearl gray color, the Galaxy Note 10.1 resembles a gray mouse amongst other tablets at first glance. The simple design with its silver gray edge around the sides is definitely timeless. In terms of materials, Samsung chose high quality plastic for the case and a relatively non-sensitive glass surface for the touchscreen. The tablet’s back side has a darker gray color with the exception being the upper edge where the camera is located. We found manufacturing quality to be impeccable. The rounded edges and a moderate weight of approximately 600 grams (1.32 pounds) provide the 10.1-inch tablet with a sense of easy handling. While significant pressure was able to depress the rear surface of the tablet considerably, we found the Galaxy Note sufficiently rigid for daily use. With its build height of 8.9 millimeters (0.35 inches), the tablet can also be considered slim. When holding the tablet in landscape, the S Pen stylus digitizer pen can be found in the lower right corner. According to Samsung, this stylus is considerably different from those used during the height of PDAs (personal digital assistant) before the advent of smartphones. This is covered in more detail further in the review. We already discussed the fact that the Samsung Galaxy Note 10.1 uses its own Exynos 4412 SoC which features four ARM Cortex A9 cores and an ARM Mali-400 MP4 quad-core GPU. What we did not discuss is that the Galaxy Note 10.1’s two GB of RAM puts the tablet far ahead of most other current tablets. As Samsung envisions the Galaxy Note 10.1 as a high-end tablet designed to run two applications simultaneously, this generous amount of RAM is likely to be particularly beneficial for multitasking. In terms of internal storage, however, Samsung has been less generous. 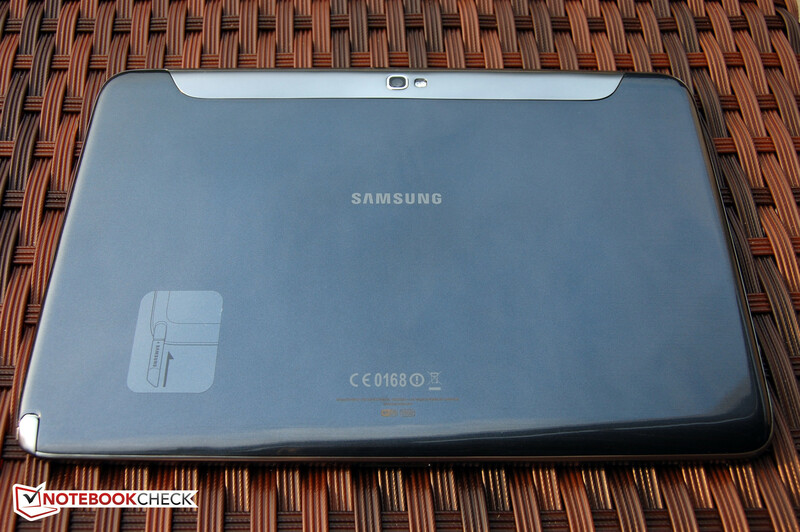 With 16 GB of storage capacity, the Galaxy Note 10.1 ranks toward the lower end in this category. Samsung justifies this choice by suggesting that this configuration is better suited for price-conscious customers and that one can easily increase storage capacity by up to 64 GB using a microSD card. The tablet’s datasheet also mentions a 32 GB version but we currently have no information regarding this. We found two surprises in terms of features with one being rather minor and the other being rather major. The first of these is the infrared port located on the top edge which allows the tablet to serve as a universal remote control when paired with the appropriate app. 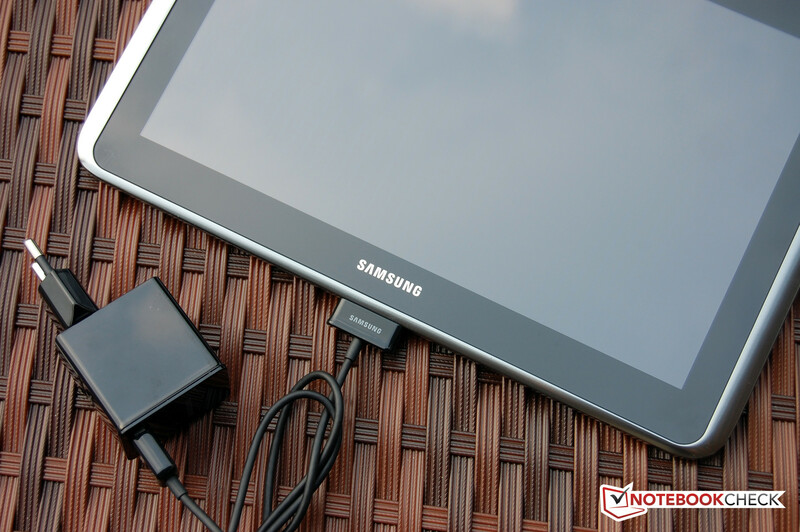 We were able to successfully control both a Sony television and a Yamaha AV receiver using the Galaxy Note 10.1. The other surprise is the S Pen stylus which is located in the lower right corner. We will describe its functionality in more detail in the “Input Devices and Operation” section. The remaining features are fairly typical. 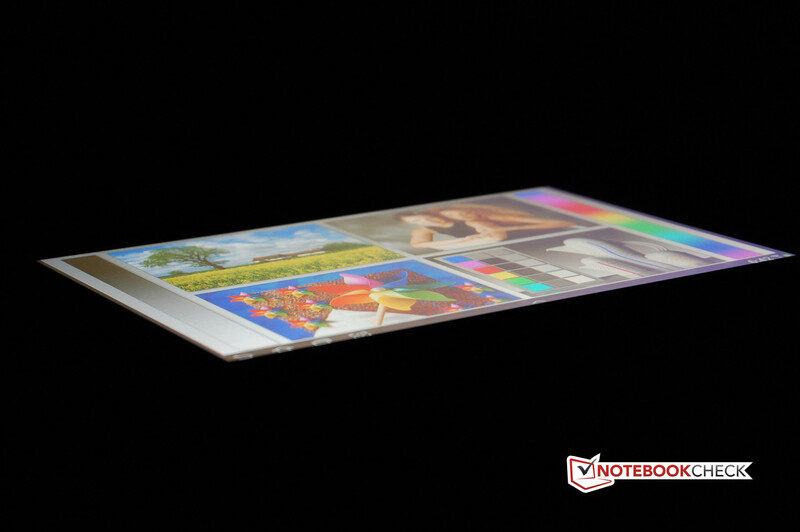 The Galaxy Note 10.1 uses a 1.9-megapixel front-facing camera and a 5-megapixel rear-facing camera. By comparison, other manufacturers such as Asus and Fujitsu already use 8-megapixel cameras. It should be noted that a higher pixel rating is no guarantee of higher quality pictures. The GPS sensor works perfectly. 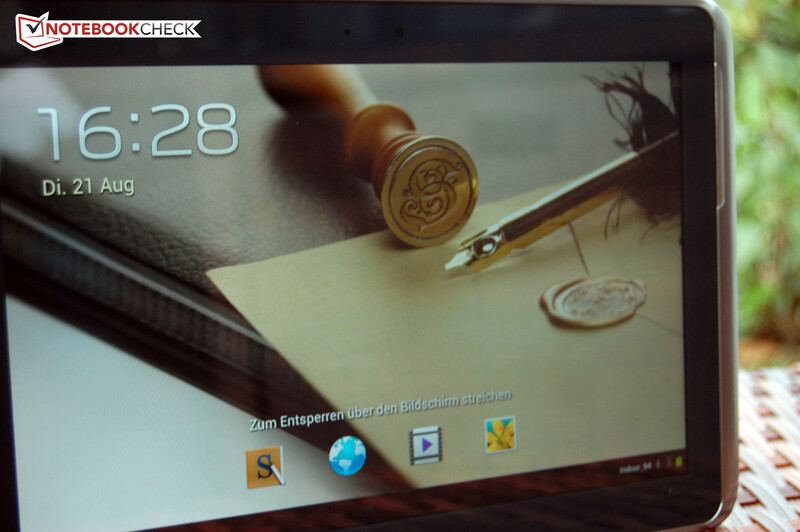 The Samsung Galaxy Note 10.1 uses Google’s Ice Cream Sandwich, revision 4.0.4. While the operating system is still reasonably new, there is no current information regarding an update for the device to use the latest Android 4.1 Jelly Bean. As is typical with Samsung devices, the operating system has been modified to use the TouchWiz interface. This provides quick access to apps – which can be accessed via a small arrow on the display’s lower edge – as well as support for the S Pen stylus. Samsung also reused its proprietary screenshot function even though such a feature has been standard since Android 4.0. This section can be covered very quickly as Samsung has done everything right in this category. The Wi-Fi module supports all current standards 802.11a/b/g/n from both the 2.4 and 5 GHz bands. 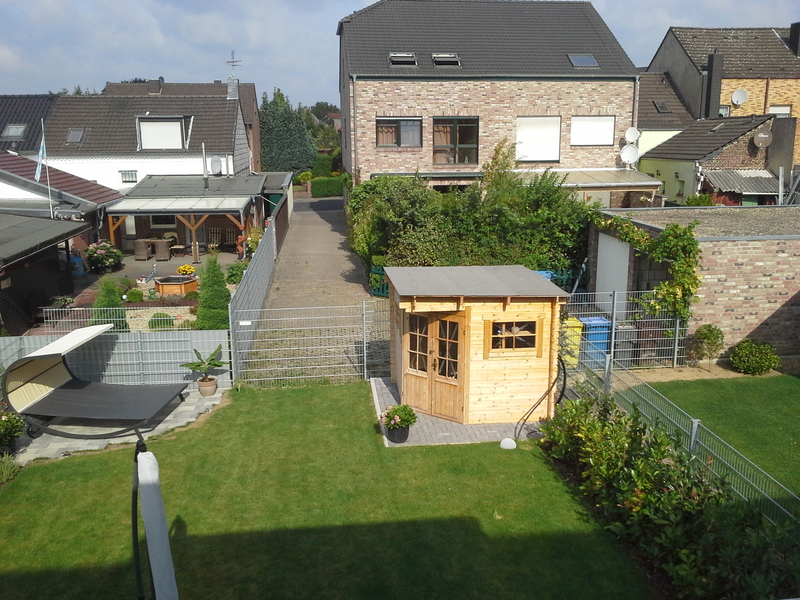 The latest version, Bluetooth 4.0, is supported and the built-in GPS sensor works well. 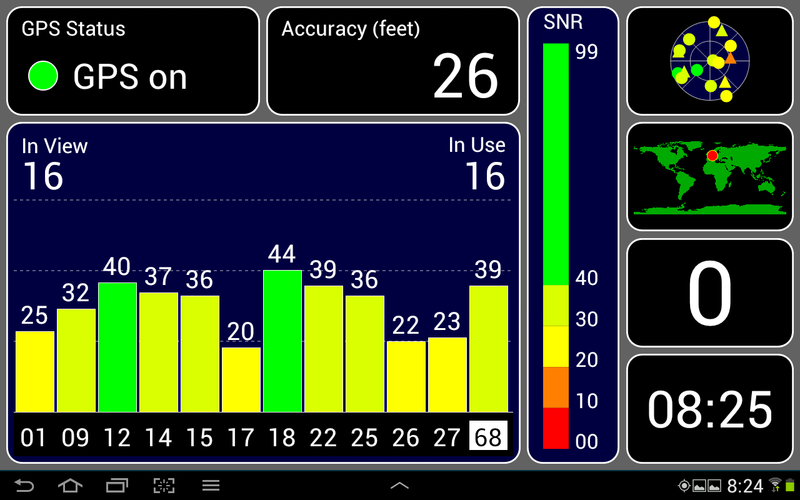 During our testing, we encountered no interruptions to GPS reception. This was confirmed by the GPS test app. A 3G module was not included in our sample device. According to the datasheet, the 3G version supports HSPA+ (Evolved High-Speed Packet Access) and is capable of use as a phone. The latest Galaxy tablet features the two-camera design that is currently the standard. 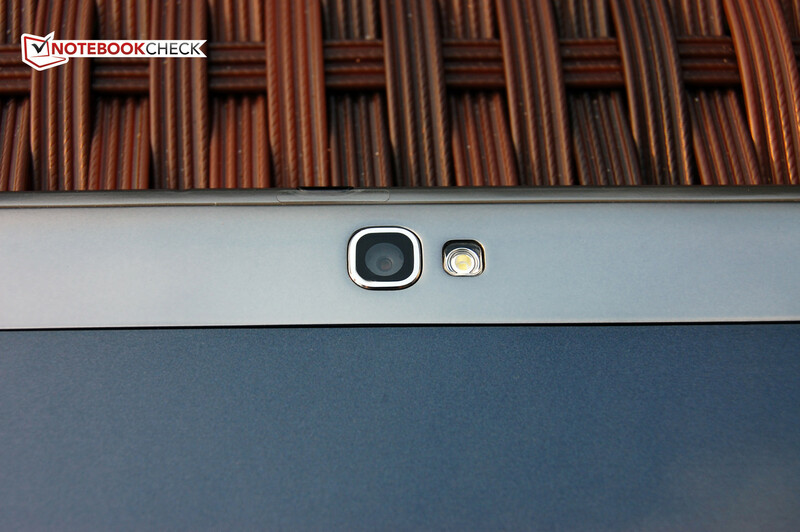 The front-facing camera uses a 1.9-megapixel sensor but the image quality was subjectively modest. Photographs taken using this camera were not sharp and tended to have a lot of noise. Pictures recorded during telephony calls using programs such as Skype should be of sufficient quality. The front-facing camera, as is the case with the 5-megapixel rear-facing camera, is capable of recording video at a resolution of 1280x720 as opposed to Full HD. The rear-facing camera was capable of an image quality useful for videos and photographs. It was capable of quick reactions to transitions from light to dark settings. The only issue we observed was a spot near the middle that had a slightly noticeable red tint. The photographs were relatively sharp toward their centers but the colors were slightly pale. The images tended to lose focus toward the edges. Noise began to appear in conditions using diffuse lighting. Counting the included S Pen style, the Galaxy Note 10.1 already includes more accessories than most tablets. In addition to this, the retail package includes an in-ear stereo headset, a handful of replacement tips for the S Pen, and 50 GB of Dropbox cloud storage for two years. The current market price for this cloud storage service is 100 Euro (~$125). Other accessories are available on the Samsung website. 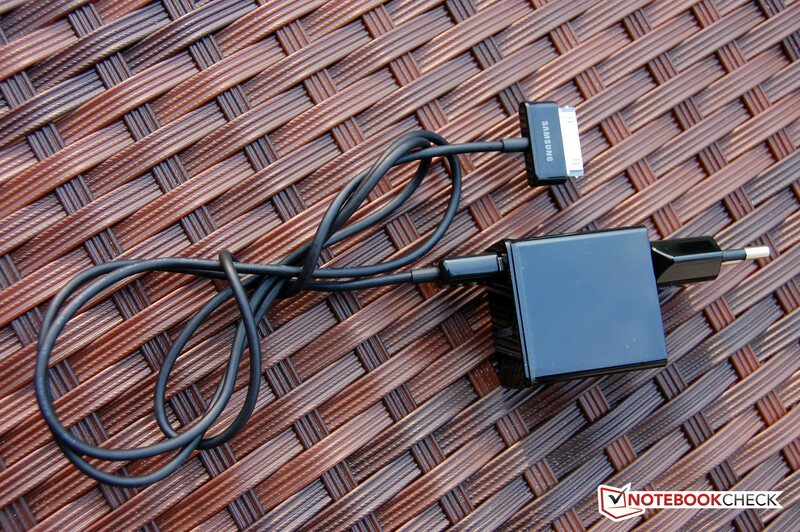 An HDMI adapter cable is available for 40 Euro (~$50) and a USB connection kit for connecting digital cameras and SD memory cards costs 30 Euro (~$38). 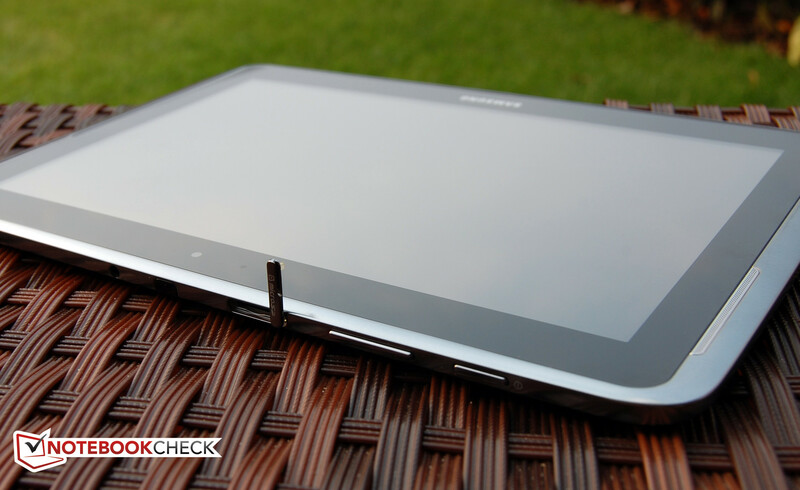 Samsung provides a 24-month manufacturer’s warranty for the Galaxy Note 10.1. No special coverage or extensions are available at this time. Current 3D games run smoothly. A quick glance at the Samsung Galaxy Note 10.1’s technical specifications should remove any doubt one might have regarding the tablet’s suitability for current 3D games. Nonetheless, we still tested gaming performance using several up-to-date games. 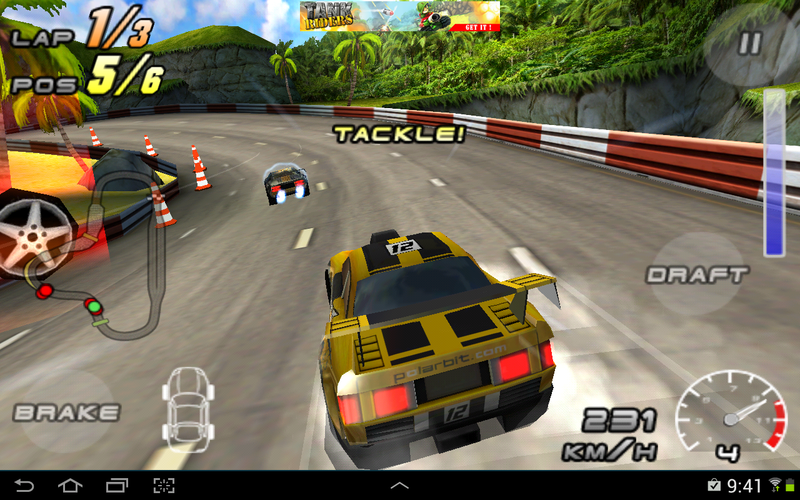 The Galaxy Note 10.1 was more than sufficient to handle the first-person shooter ShadowGun and racing games such as Raging Thunder 2 and Need For Speed: Hot Pursuit. In our testing, the touchscreen enabled precise control and the only possible, minor criticism is the minimal delay observed when using the tilt sensor. 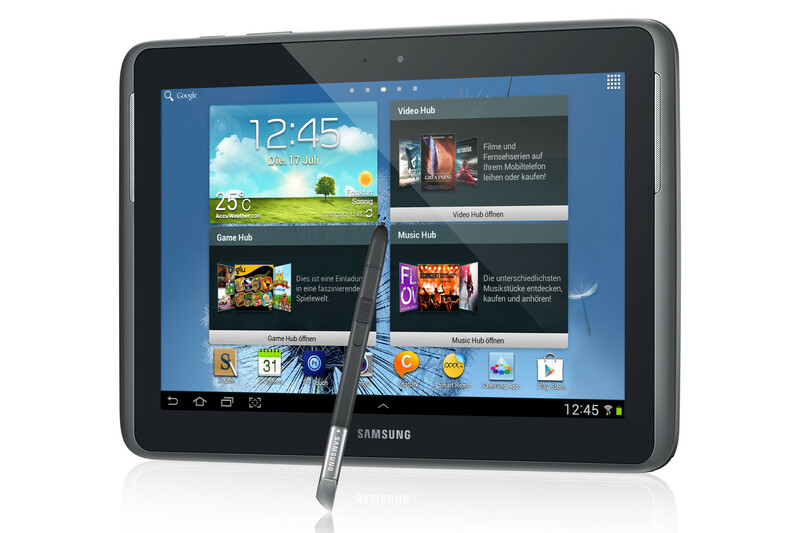 Central to any tablet is the display and the Samsung Galaxy Note 10.1 is no exception with its capacitive touchscreen. We observed that the display’s glass surface allowed fingers to glide smoothly and precise control was consequently possible. Scrolling through menus and long websites was possible without delay or judder. Only when we enabled the power saving profile, in which CPU speed is reduced, were individual judders noticeable. The automatic rotation of display contents from portrait to landscape and vice versa required a short, one second delay but nonetheless worked very reliably. When flipping the display by 180 degrees, the display turned black for a brief moment. 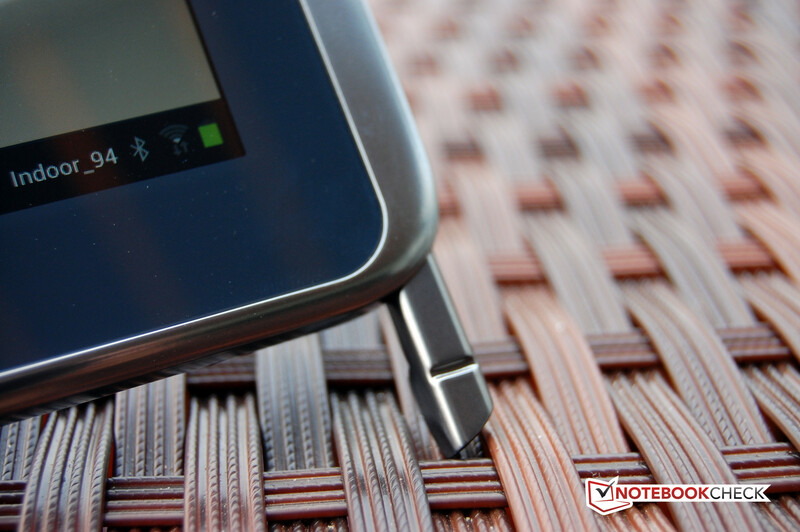 Upon removing the S Pen stylus from its slot in the case’s lower right edge, the tablet emitted an audio notification and a list of programs optimized for the stylus appeared. Among others are the S Note notepad app, the S Planner calendar, and the Crayon Physics game. The S Note program clearly demonstrated its aptitude for stylus-based writing and we felt the stylus, which can be used universally as a finger replacement, worked very well. The S Pen is based on technology from Wacom, a “household name” in the field of graphics and drawing tablets. As power is provided by the display, the stylus operates passively and requires no batteries. This allows the stylus to remain very compact. The S Pen also provides handwriting recognition. This functionality persists throughout the system and can be used an alternative to the virtual keyboard. 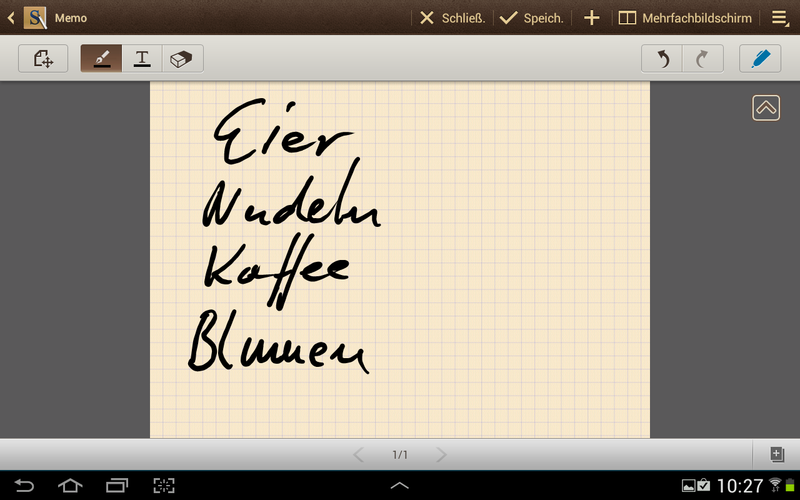 We were quite surprised by how well handwriting recognition worked. Our previous, perhaps ancient, experiences with hard-to-remember and esoteric stylus gestures from the Palm PDA days are definitely gone. In our opinion, the S Pen is a genuinely beneficial addition to the Samsung Galaxy Note 10.1 when compared to other current tablets. After using the stylus, one should be mindful to place the S Pen back into its slot to avoid potentially long searches for the misplaced writing tool. During such searches, this author found a number of things that he never knew he had misplaced. The TouchWiz interface and virtual keyboard also worked perfectly. In this custom interface, a few context related button changes proved to be helpful. For example, the “www.” button automatically changed into a “.com” button after useful. Another one-of-a-kind feature among current tablets is the Galaxy Note 10.1’s “Multi-screen” function which allows two apps to be displayed side-by-side. This function worked perfectly in our testing and we feel this feature could provide a real advantage in practical use. For the display, Samsung chose to use the established 1280x800 10.1-inch display which is essentially standard for devices of this class. While we had hoped for a higher resolution for a top-of-the-line model, this is perhaps an unrealistic criticism. Samsung provided no information on the display technology. However, our measurement of a black level of 0.47 cd/m2 and our subjective impression of the less-than-fully-saturated colors allow us to exclude AMOLED technology. We observed very good viewing angle stability which suggests that the display is a high-quality IPS or Super IPS panel. We observed a sufficient maximum brightness of 378 cd/m2. While great for notebooks, this is merely adequate for a tablet that is likely to be frequently used in direct sunlight. The measured contrast ratio of 804:1 and illumination of 90 percent are both very good. Our subjective analysis of the display’s image quality was thoroughly positive. Dark movie sequences were displayed with saturated blacks and high-contrast photographs did not lack brilliance. The colors appeared natural even if they were not particularly bright. It should be noted that the colors were not always particularly bright in real life either. Overall, we were very satisfied with the Galaxy Note’s image quality. Unfortunately, the display surface was very reflective and the aforementioned maximum brightness of 378 cd/m2 was not always sufficient. In the shade, screen contents were typically easy to distinguish. In direct sunlight however, fingerprints combined with the display’s reflectivity to result in metaphorical black hole. In terms of the aforementioned viewing angles, we found that even the flattest viewing angles did not result in color distortion and only minimal contrast reduction. Annoying reflections on the display surface became apparent long before viewing angle distortions were noticeable. Many current tablets feature fast quad-core processors and potent 3D graphics. High-performance tablets often use the Nvidia Tegra 3 SoC. This is not the case for the Galaxy Note 10.1 as Korean-based Samsung has placed its faith in in-house processors. The Galaxy Note 10.1’s Exynos 4412 is as new as a processor can be. As opposed to the Tegra 3’s 40-nanometer process, the Exynos 4412 uses four ARM Cortex A9 cores built on a 32-nanometer manufacturing process. The processor uses the most current ARM v7 instruction set and each core operates at a clock speed of 1.4 GHz. The ARM Mali-400 MP4 integrated graphics unit also features four cores. Also worthy of mention is the fact that the Samsung Galaxy Note 10.1 uses two GB of RAM as opposed to the 1 GB used by the Tegra 3-based competition. The countless Android benchmarks clearly demonstrate that Samsung made the right choice for its SoC. 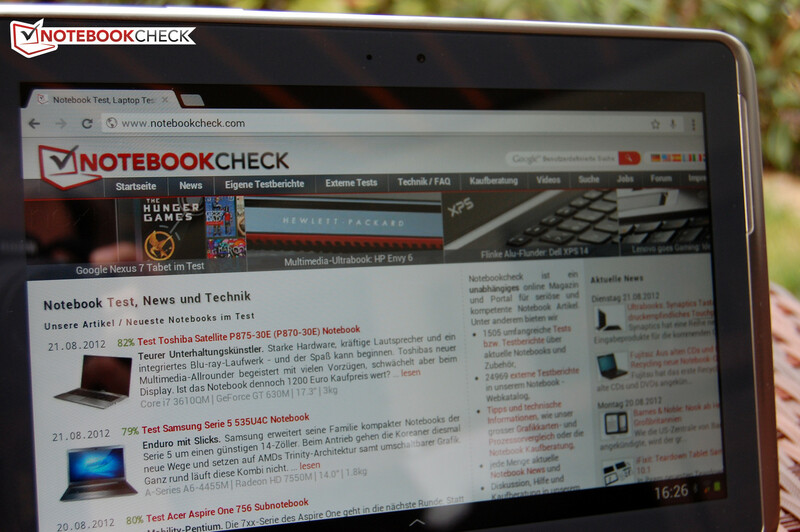 Synthetic benchmarks such as AnTuTu and GLBenchmark 2.5 and browser-based benchmarks such as BrowserMark, Google’s V8 Benchmark Suite, and SunSpider all attest to the Galaxy Note’s highest performance of any tablet tested by Notebookcheck.net. In terms of performance, onnly the Asus Transformer Pad Infinity TF700T is in the same category as the Galaxy Note 10.1. In all other cases, the competition is clearly left behind. During the Linpack multi-thread test, the Galaxy Note sometimes surpassed Tegra 3 models by over 50 percent. Due to the Samsung Galaxy Note 10.1’s high level of performance, we feel it has earned a brief verdict halfway through the review. 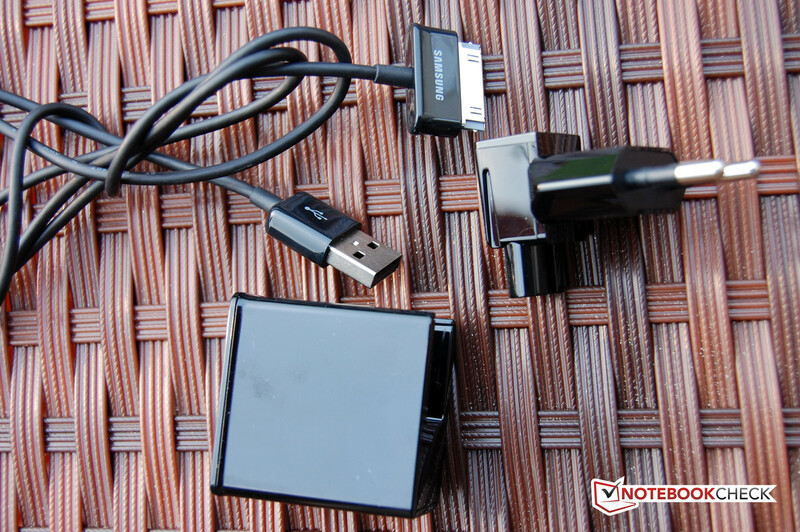 At the time of this review, the Galaxy Note is simply exceptional. The Samsung Galaxy Note 10.1 had no issues regarding temperature. Even after long periods of full utilization during our stress test, the Galaxy Note did not become excessively warm. While the upper left corner exhibited slight hot spots on both the front and back side with temperatures of 45.9 degrees Celsius (115.6 degrees Fahrenheit), this temperature is still rather trivial considering the fact that our test was conducted on a hot summer day. During daily use, the surface temperatures of the tablet remained comfortably cool and under 33 degrees Celsius (91 degrees Fahrenheit) at every measurement location. The internal components showed no risk of overheating in any case and even the AC adapter barely warmed up. The speakers are no miracle. 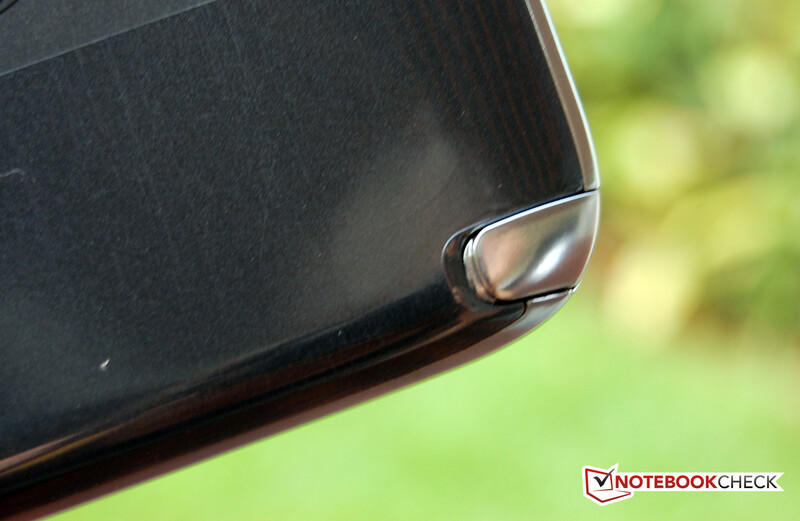 The Samsung Galaxy Note 10.1 features two small speakers on the left and right edges of the display. As a result, stereo sound was possible to a limited extent. Nonetheless the small speakers are unsuitable for high quality acoustics. While the volume was sufficiently high, the speakers quickly rattled and distorted noticeably at maximum volume. The speakers were also unable to produce deep bass frequencies. Anyone wanting to listen to music or watch action movies using this tablet should use a good pair of headphones. Similar to the display, Samsung provided few details regarding the Galaxy Note’s battery. The only specification we were given was that the Lithium-polymer battery has a capacity of 7000 mAh. While idle, most 10-inch tablets have moderate power consumption levels. The Galaxy Note proved to be leisurely in this scenario with a measured consumption range of 1.9 to 5.3 Watts but less frugal than devices such as the Fujitsu Stylistic M532 and Motorola Xoom 2. When both the CPU and GPU were fully utilized, power consumption rose significantly, as expected. The maximum power consumption of 10.1 Watts is a clear testament to the power-hungry, high-performance system. We measured barely any power consumption when the tablet was turned off. The 1.5 Watts consumed in standby is an acceptable level but could nonetheless be one Watt lower. 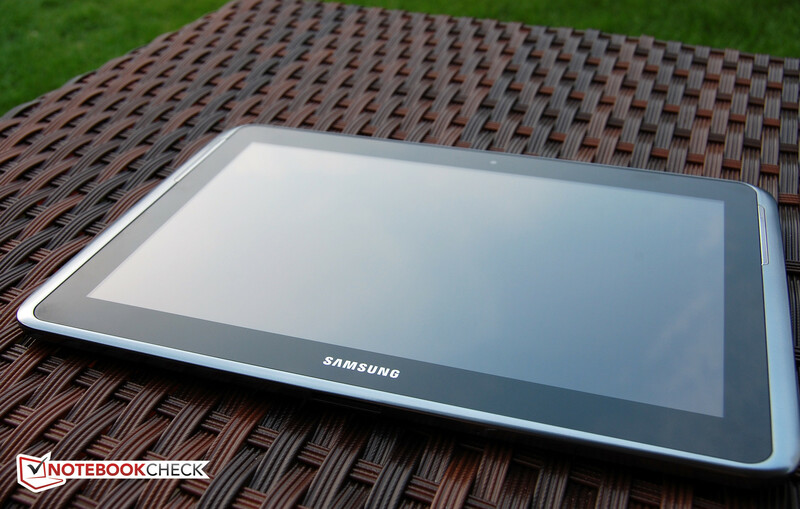 The moderate power consumption of the Samsung Galaxy Note 10.1 helped the tablet achieve good battery runtimes. With our reading script, the tablet managed to last just under 14 hours using the low brightness setting and power saving mode. This result places the device in the upper-middle range in this category. When fully utilized at maximum brightness, the Galaxy Note exhausted its battery after 3 hours 12 minutes. The most relevant test, our Wi-Fi surfing test, uses a dimmed, generally-usable 150 cd/m2 display brightness and active power saving profile. 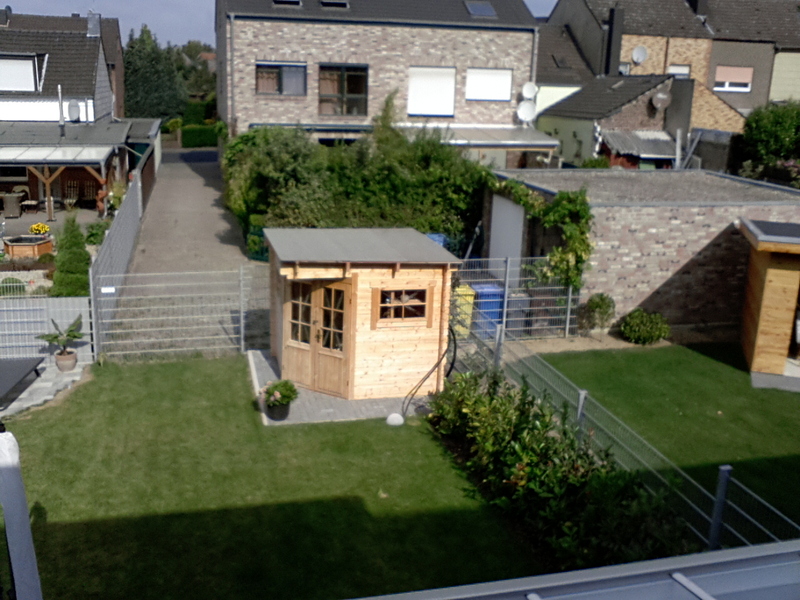 In this test, the Galaxy Note managed a satisfactory result of seven hours. Compared to long-lasting competitors such as the Acer Iconia Tab A510, Samsung’s flagship tablet came up short. 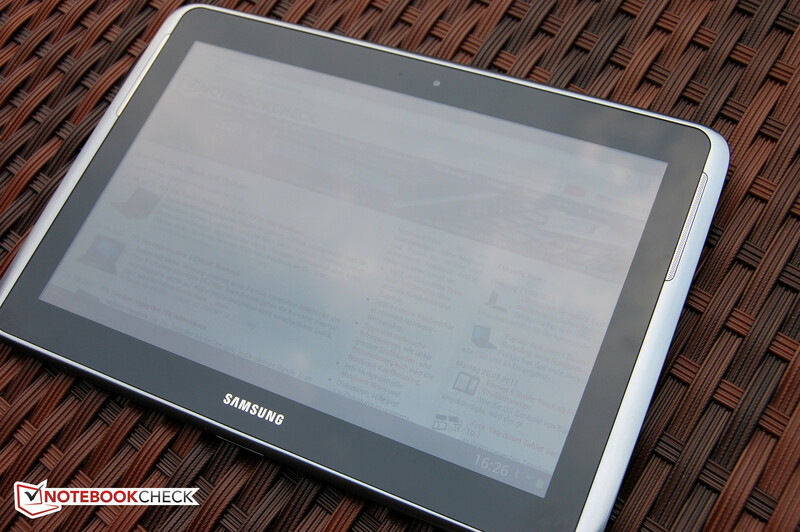 The Samsung Galaxy Note 10.1 provides plenty of performance with hardly any weaknesses. Samsung has always offered something special with its Galaxy Note series of tablets and we expected the same to be true for the Galaxy Note 10.1. Nonetheless, the exceptionally good performance of the 10.1-inch tablet surprised us. While the Samsung Galaxy Note 10.1 uses restrained aesthetics, the manufacturing quality and haptics remained on an elevated level. An aluminum unibody would have surely been an improvement but would also have increased the weight somewhat. We found that the features were certainly worthy of a high-end tablet. However, a full-fledged HDMI port would have been more suitable for the tablet as adapter solutions are always a compromise. We found the infrared port to be a neat feature as it allows the tablet to become a universal remote control. The internal components were absolutely up to the latest standards as the quad-core processor, 3D-capable GPU, and 2 GB of RAM were all great. On the other hand, the internal memory capacity could have been a bit bigger, at least optionally. In terms of Wi-Fi and Bluetooth, the tablet had no shortcomings. 3G is even available for a fair premium. 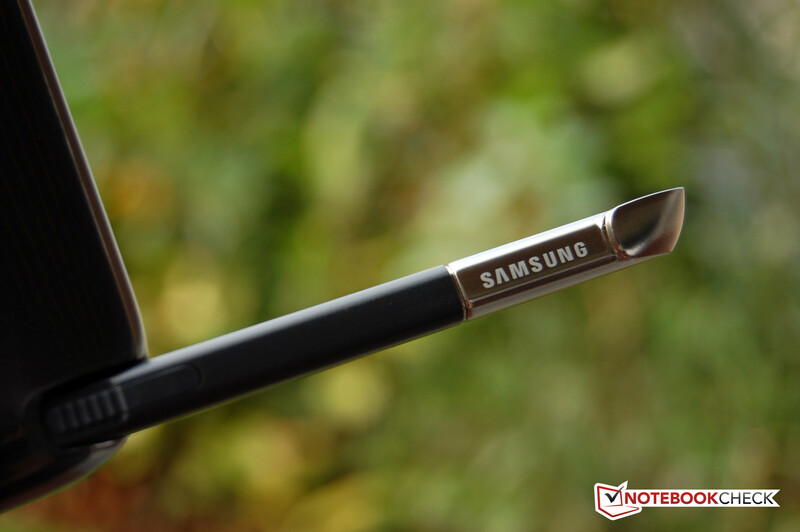 We found the Galaxy Note’s signature feature, the S Pen stylus, to be especially useful and enjoyable in relevant apps. We also liked the option to display two apps side-by-side. The display was also good even if it did not stand out as much as the rest of the tablet as a whole. It may shine brightly but was not especially bright in its own right. The resolution was also merely average and unremarkable. The image quality and viewing stability were good. 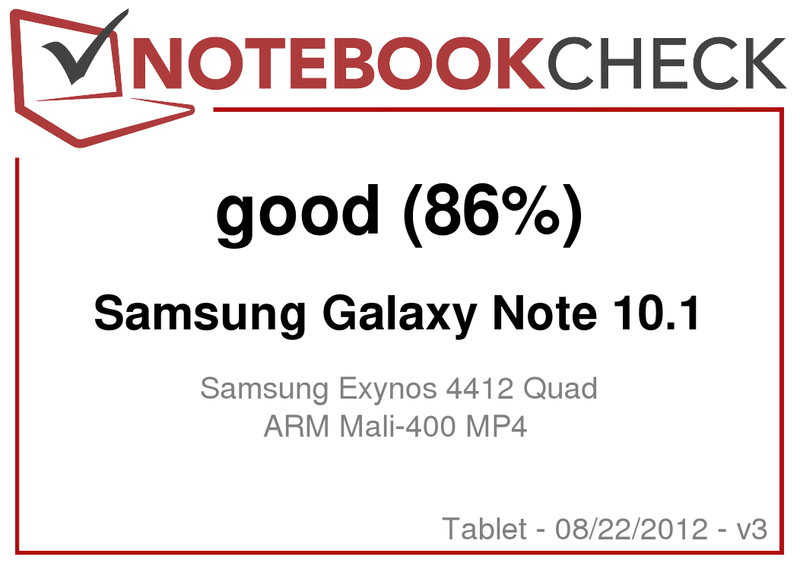 As previously mentioned, the performance of the Samsung Galaxy Note 10.1 was very good without restriction. For every possible application and benchmark, the tablet had more than enough power during our review. In the current tablet market, the Galaxy Note is a performance standout. In summarizing the other categories, we found the cameras to be acceptable for a tablet but the speakers less so. Power consumption and battery life were also acceptable, but other devices are sometimes better. All things considered, we can definitely recommend buying the Samsung Galaxy Note 10.1 as it provides outstanding performance with very few weaknesses. While the MSRP of 599 Euro (~$749) is too high in our opinion, street prices are already much lower. 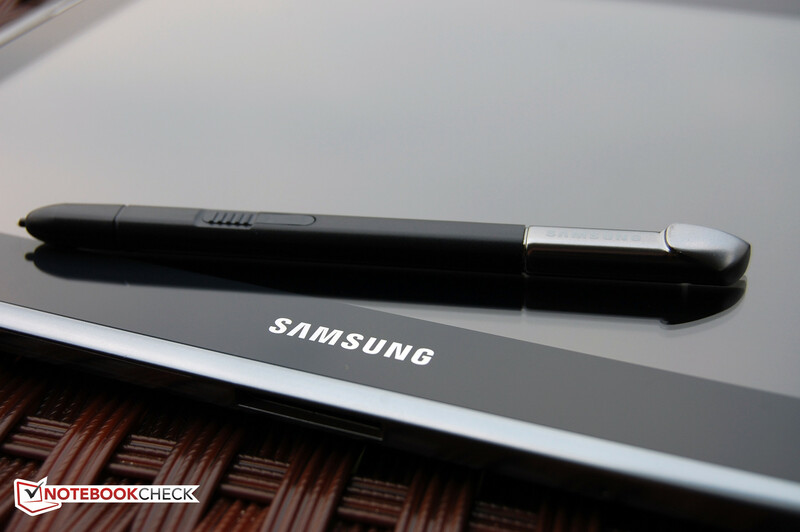 Simple elegance is displayed by the Samsung Galaxy Note 10.1. ...or for charging of course. The microSD card is hidden behind a thin cover. The camera at the back takes usable pictures. 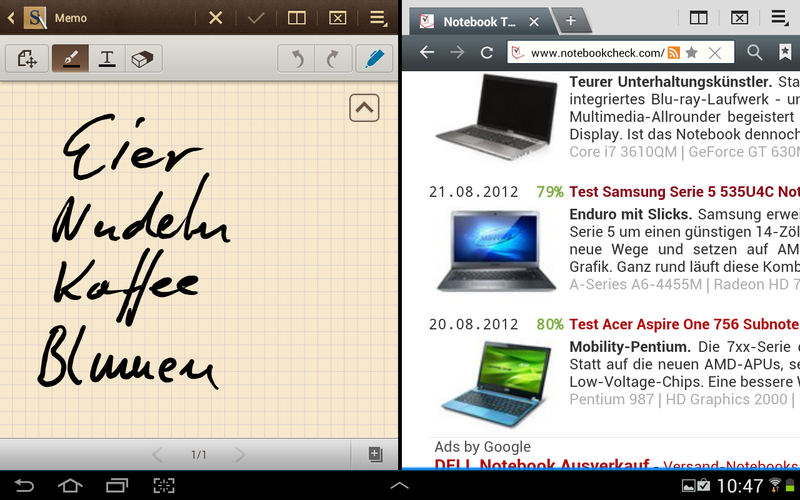 Not possible on any other tablet, the Galaxy Note 10.1 can display two windows side by side. The notebook app practically screams for the stylus. When it is pulled out a sound is emitted. 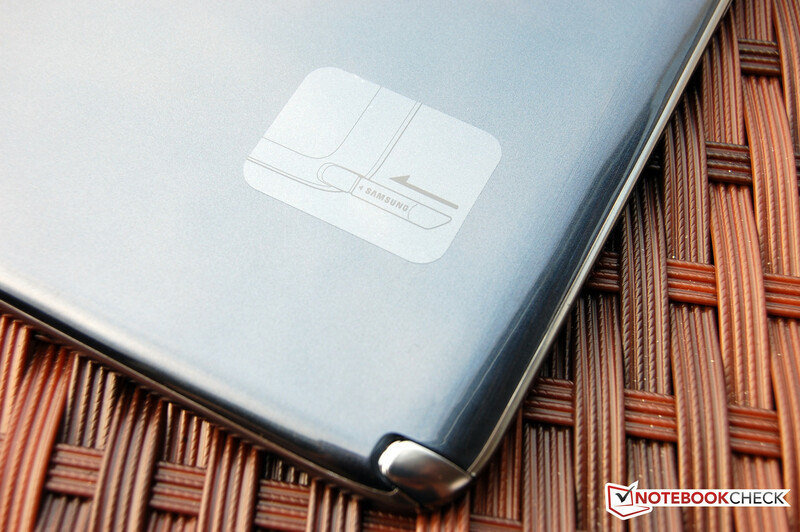 the Galaxy Note 10.1 has a seamless slot. The back has two colors. A stylus is a real rarity nowadays. Even the box is nicely designed. The display may be reflective, but is usable in the shade. That Samsung opted for a self-made processor that makes the combined Tegra 3 competition appear obsolete. The display could be a bit brighter, and more internal memory could also certainly be put to good use. The significant performance advantage of the Samsung Exynos 4412. The processor is a real performance home run. 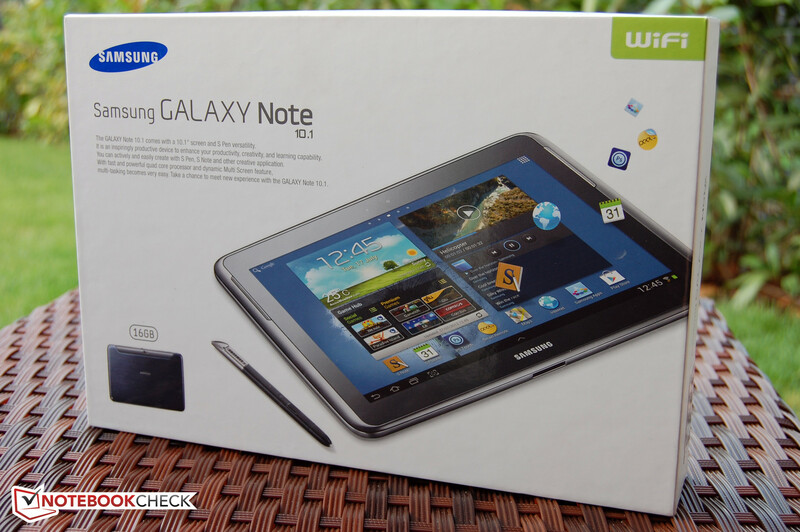 The competition of the Samsung Galaxy Note 10.1 all comes from the Tegra 3 camp with one exception. The Apple iPad 3 plays in a similar league. The other competitors are Fujitsu Stylistic M532, Asus Transformer Pad Infinity TF700T, Acer Iconia Tab A510, and Google Nexus 7.